Omron Electronics introduces the V680-HAM91 / V680-HAM81 ID Flag Sensors, designed to read and write 16 bits of data with one unit in a variety of applications from simple product identification to managing work progress. Read or write 16 bits of data (for up to 64,000 IDs) with one unit despite their compact size. Read or write up to 128 bits by using the address shift function. 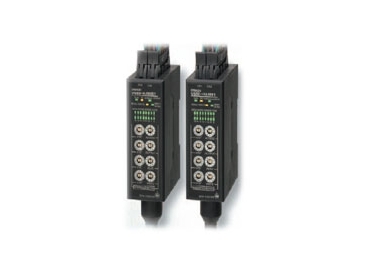 Equipped with a V600-HAM/HAR-compatible Access Mode, allowing use of existing programs. Can be used with ID Tags and Antennas that comply with ISO/IEC 18000-3 (ISO/IEC 15693). Communications with ID Tags is done in 16-bit units to enable up to approximately 64,000 IDs. High-speed processing of 43 ms for a wide variety of applications.